As part of my experience opening our new WWM Wellness Club massage center, I’ve been getting to know the Wellness Club Team Members. This past Sunday I was able to spend a few hours with Liz Cascio and really see her smart and friendly self in action. I want to give my readers a chance to get to know Liz as well. She’s up in the Wellness Club many days, but before you meet her, I thought I’d ask her more about the Wellness Club, the Lifestyle Change Program and how she helps people learn to eat well and live a more well-balanced life! 1. What did you do as a wellness tour guide and guest lecturer for CHEW (Complete Health Education and Wellness) Chicago? I lead people on a 3-mile walking tour of Lincoln Park, educating people about different businesses in the community that support wellness, including Whole Foods Market! 2. What is a Holistic Health Counselor? What do you do? The word holistic simply means emphasizing the whole instead of isolating or compartmentalizing particular aspects of a subject. Holistic Health specifically means comprehensive, total health and well-being, physically, mentally, and emotionally. In my practice, I help my clients to understand that their diet, lifestyle, relationships, physical activity, and career all play a vital role in their overall health. I try to support my clients in each of these aspects of their lives in order to help them achieve the balance that is necessary for optimum health. 4. What could I expect from you as a coach to help me incorporate healthier eating into my current diet? How about fitness? In my practice, I help my clients to create a mind-set of success in order to affect permanent, positive change in their lives. I work with my clients to help them set realistic, specific long and short-term goals. These goals can be a simple as eating a healthy breakfast every morning or as challenging as running a marathon. Then we work to make gentle, sustainable, but effective changes in their daily lives in order to achieve those goals. The key is to make changes that you can stick to and then build on those changes. Healthy lifestyle shouldn’t be about punishing or depriving yourself. It should be about making your life happier, healthier, and more fun! 5. Eating healthy can be boring. How do you make it fun? A healthy lifestyle doesn’t have to be boring. A lot of people think that eating a healthier diet means you won’t ever get to enjoy food again, that you have to force yourself to eat foods that you don’t like eating, and that you have to be hungry all the time. This is just not true. In fact a very restrictive diet, can actually HURT you more than it can help. I love trying new things and playing in the kitchen, so for me, the most exciting thing about the changing my diet was learning about new foods I’d never heard of before and how to cook them. For instance, did you know there are more than 20 varieties of grains each with their own unique flavor and texture. For people who aren’t so keen on change, we will give you the opportunity to “Stump the Chef.” We challenge you to come up with a favorite food for our Chef Katie to make a healthier version of! She’ll give you the recipe and show you how to make it, so that you don’t have to give up your favorite foods! 6. What is the Wellness Club diet plan based on? The Wellness Club is not really a diet as much as it is a Lifestyle Change Program. The program was created by Drs. Matthew Lederman and Alona Pulde and Registered Dietician Jeff Novick. These medical professionals have all had very successful practices treating their patients with diet and lifestyle. They have also worked closely with pioneers in the field of plant-based nutrition such as T. Colin Campbell, author of the China Study, Dr. Caldwell Esselstyn (former President Clinton’s doctor), and Dr. John McDougall. 7. What does a plant-based diet mean? A plant-based diet is a change in overall dietary pattern. The first thing we encourage people to do, regardless of what type of diet they are on, is to ADD more plant foods like fruits, vegetables, whole grains, and starchy vegetables. (How many diets tell you to eat more food?!) Then, we teach our members how to make these foods the main focus of the meal instead of merely a small side dish, and to use foods that are more prominent in the Standard American Diet (processed foods, animal products) as more of a flavoring agent, a condiment, or a side dish, if at all. 8. Do I have to give up meat and dairy? Is this a vegan thing? The Wellness Club is not a conventional “diet” in that we do not have lists of good and bad foods and we do not tell people what they can and cannot eat. Our goal is to educate people about the potential health risks associated with particular foods, such as refined, highly processed foods and certain animal products. They can then make an informed decision about whether they wish to continue eating these foods and in what quantity. People become “vegan” (choose to abstain from all animal products) for many reasons (political, ethical, spiritual, as well as health). Our motto at the Wellness Club is “Honest to Goodness Wellness,” and that is our one and only focus. It is possible to eat a 100% vegan diet that is far from healthy. It is also possible to eat diet that incorporates animal foods that will support optimum health. We choose to describe the way of eating that we teach in the Wellness Club as plant-based because the most important thing is that majority of the diet is based on whole, unrefined plant foods. 9. Do you have any fun events planned for this fall? We have a really exciting dinner and a movie series. Each week, we will be pairing our delicious, Wellness Club-approved supper club with a film on a relevant subject. This Tuesday (9/27), we will be screening Forks Over Knives. 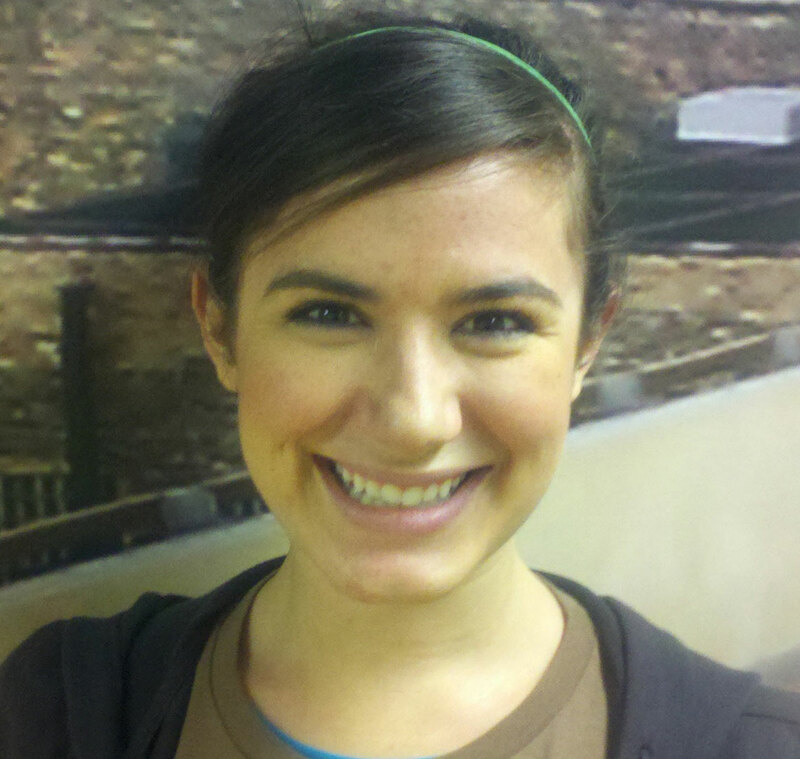 Liz is a Holistic Health Counselor certified through the Institute for Integrative Nutrition. Liz has a growing private practice and is currently enrolled in the Institute’s Professional Training Program. Liz’s approach emphasizes gentle but effective lifestyle change through goal coaching and self-awareness training. In addition, Liz has been educating the Lincoln Park community about health and wellness through her work as a wellness tour guide and guest lecturer for CHEW (Complete Health Education and Wellness) Chicago. Liz is also a performance artist and theatre instructor who has taught and directed students from three years of age to adult. Liz specializes in hands-on, interactive education which encourages independent thought, creative self-expression, and body awareness.